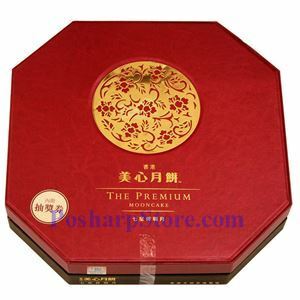 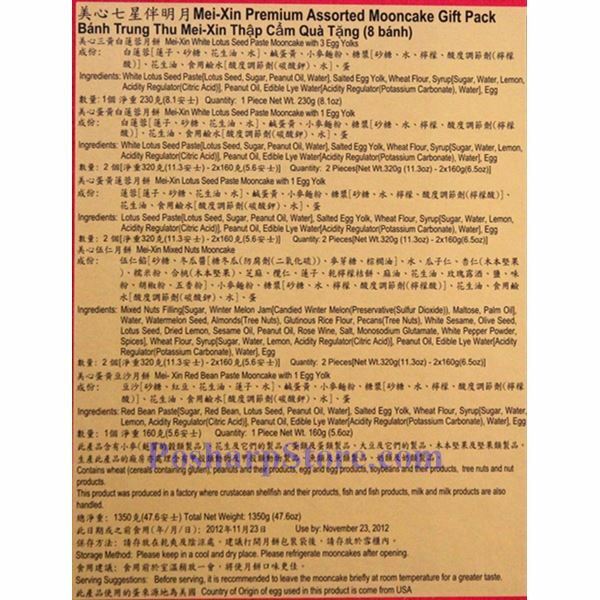 This premium gift box contains one 3-yolk white lotus paste mooncake, two 1-yolk white lotus paste,two 1-yolk lotus paste mooncakes, two mixed nuts paste mooncakes and one red bean paste mooncakes. 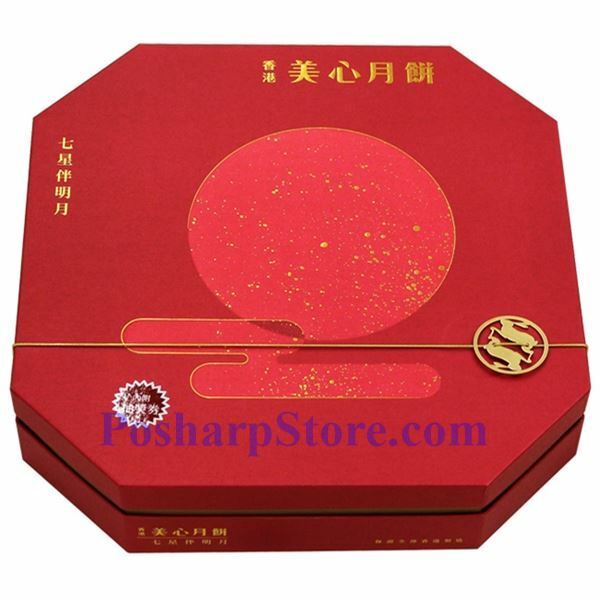 Each mooncake is individually wrapped and sealed for optimum freshness. Box size: 16.5" x 16.5" x 4"